What’s in a name: Would you buy a Chevrolet Garciasville? So, you’ve heard of the Buick Kincaid, right? The Chevrolet Montana, Chevrolet Garciasville and Dodge Castle Dale? No? Well don’t worry about it. Those are the names some better-known vehicle models would have if they were named after the place they sell best rather than their current place name. 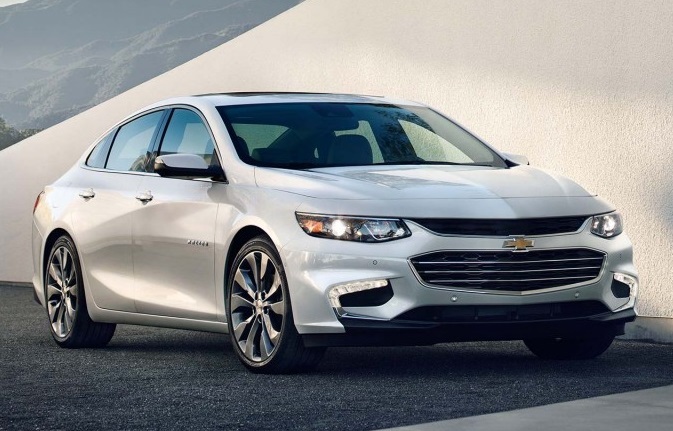 The Chevrolet Malibu is especially popular in Garciasville, TX. The midsize sedan made up 15 percent of new-car registrations in Garciasville, TX, “making that small town the most Malibu-heavy community in the country,” according to Edmunds, which pulled data from Polk to find out where eight “geocentric” models sold best from January to August. Toyota Kilauea (Tacoma) – The compact pickup comprised 26.5 percent of new registrations in the Hawaiian community compared to just 2 percent in Tacoma, WA. Buick Kincaid (LaCrosse) – The sedan captured 8.9 percent of new registrations in the Illinois town compared to 0.2 percent in its Wisconsin namesake city. Chevrolet Montana (Colorado) – The midsize pickup made up 2 percent of new registrations in Big Sky Country compared to just 0.5 percent in Colorado. Dodge Castle Dale (Durango) – Say what? The Utah city contains the greatest concentration of new registrations of the SUV at 7.7 percent, while Durango registrations hit just 0.5 percent. Hyundai Clements (Santa Fe) – The compact SUV sported 5.6 percent of new registrations in the Maryland town while only 1 percent of new-vehicle sales in Santa Fe were its namesake model. Hyundai Fort Garland or Wilmington (Tucson) – OK. Maybe not. But the Tucson comprised 6.7 percent of new-vehicle registrations in the Colorado and New York towns, respectively, and “a paltry” 0.4 percent of new-vehicle sales in the Arizona city for which it is named. Kia Cedar Grove (Sedona) – The minivan comprised 13 percent of new-vehicle registrations in this West Virginia town, while “not a single buyer registered one” in Sedona, AZ. So, if you spot a Toyota Tacoma on the road, just remember, it’s really a Kilauea. © 2019 Santander Consumer USA Inc. All Rights Reserved. NMLS Consumer Access ID 4239.